Here’s one of the things we like best about yoga: you can literally do it anywhere in the world, from a bustling city studio to a remote Sri Lankan beach—and experience the physical, mental, emotional and spiritual benefits of the practice. But if we’re honest with ourselves, there are places in the world that simply exist on a higher plane, and where it’s easier to tap into one’s highest self. Sedona is one of those places…and here are four reasons why. (1) It’s got REALLY good energy. 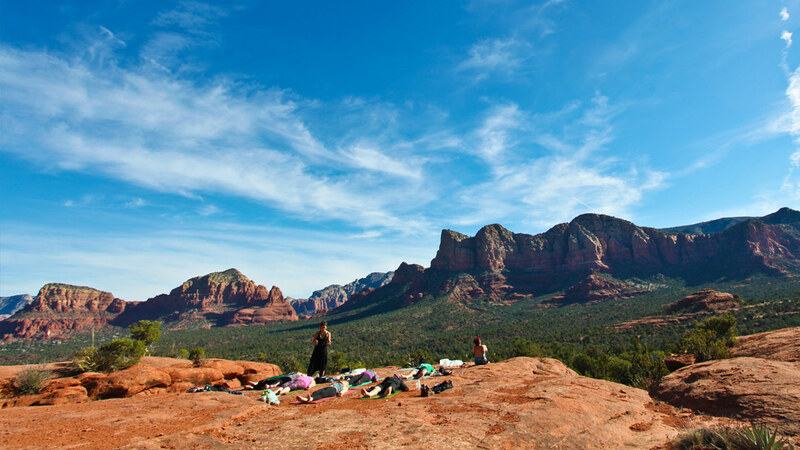 Sedona is known for its vortexes—geologic sites brimming with natural spiritual energy—and these areas have proven very popular with locals and visitors seeking extracurricular escapes. And guess what? You don’t have to be dripping in crystals to actually feel something. 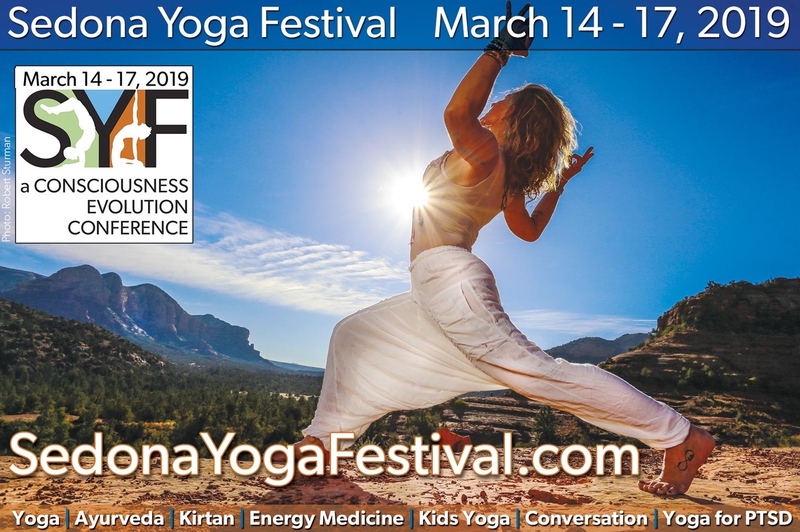 Whether you travel with one of Aumbase Sedona’s many specialized vortex tours or take a self-guided hike with a friend, you’re likely to experience some kind of vibrational shift while you’re here, and your yoga practice can make you more open to embracing that sensation. (2) It’s CRAZY beautiful. Think back to your favorite city studio for a second. Do you feel closer to self and spirit THERE, or when you’re out and about in nature? Chances are, you’ve experienced a deeper “dropping in” when you’ve practiced in an inspiring place. March in Sedona is pure high-desert heaven, with daytime highs reaching into the 70s and crisp, clear nighttime lows in the 30s—and more than 300 breathtaking miles of hiking, biking and equestrian trails to explore. Pair outdoor adventure with internal quest, and both can become so much more meaningful. 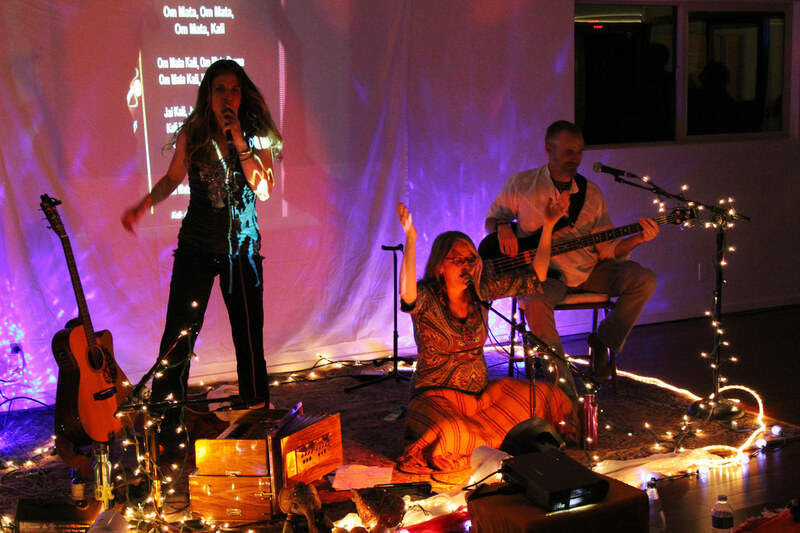 (3) Shakti + Ganesha in the HOUSE! Sure, you don’t come on a yoga pilgrimage for retail therapy—attachment, material possessions, blah blah blah—but you’re also human. So, if the occasional objet d’art just happens to soothe your soul a teeny bit, it just happens that you’re in the right place. Sedona is teeming with local color, from spiritual art to handcrafted clothing and jewelry to exotic imports and more. The city’s thriving art scene is overflowing with creative people and beautiful things, including Sedona’s First Fridays to the 40+ shops and galleries of the Tlaquepaque Arts & Crafts Village.